This week, Stephen Ibaraki, FCIPS, I.S.P., ITCP/IP3P, MVP, DF/NPA, CNP, FGITCA has an exclusive interview with Stephen Downes. Downes is perhaps best known for his daily newsletter, OLDaily, which is distributed by web, email and RSS to thousands of subscribers around the world, and as the originator of the Massive Open Online Course (MOOC). He is a popular speaker, appearing at hundreds of events around the world over the last fifteen years. He has published hundreds of articles both online and in print through two decades of research and development into learning networks and related technologies. At the University of Alberta he built a learning and research portal for the municipal sector in that province, Munimall, and another for the Engineering and Geology sector, PEGGAsus. He also pioneered the development of learning objects and was one of the first adopters and developers of RSS content syndication in education. Downes introduced the concept of e-learning 2.0 and with George Siemens developed and defined the concept of Connectivism, using the social network approach to deliver open online courses to three thousand participants over two years. 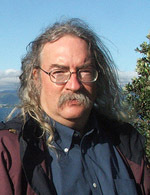 Downes obtained a BA and MA in philosophy from the University of Calgary, specializing in epistemology and the philosophy of science. He also studied at the PhD level at the University of Alberta, completing all but his dissertation. Among numerous volunteer and committee positions while a student, Downes served as editor of the Calgary student newspaper, the Gauntlet, for two terms, and as president of the Graduate Students' Association at the University of Alberta, also for two terms. He served as a member of the Board of Governors, University of Alberta, and with the Athabasca University Governing Council. :00:31: Stephen, can you outline the value of the unique e-learning support system to address skills shortages in the most demanding fields and save significant training costs for companies and educational institutions across Canada? "....We are working on a project called Learning and Performance Support System. It's an outgrowth of the work that we've done over the last 10 or 12 years at the National Research Council in the area of e-Learning....We're moving to the new type of online learning which is characterized as personal learning and the importance of this is to provide each individual person their own access to learning resources via learning libraries and their own personal learning records. We feel this will have a direct impact into industry in Canada (and around the world for that matter), because it allows people to prepare for jobs before they get onto the jobs and it allows people to continue learning while they are on the job....It allows people to actually integrate learning into their work environment...."
:01:59: It sounds like the platform that you created has many broad applications. Can you define the sectors that can benefit and why? "....It should be clear first of all that we are still in the process of creating it. What we've released is an initial test version in order to get people's reactions and feedback because it's very important to develop something like this with real users and real feedback so that we know that we are addressing the actual problems that they have....We've met with a number of companies and oil and gas educational consortia....Right now I'm in Boucherville where we have an interesting laboratory in medical simulations...."
:04:52: What prompted the creation of this platform? "....I've been working and our team has been working for the last ten years or so and over time we've seen an increasing need to provide personal learning, as opposed to the institution-based or class-based learning that has been previously available. Of some of the major factors, one is cost....We've developed as a first step of this, Massive Open Online Courses or MOOCs....Now the PLE (Personal Learning Environment) is the next step in that process. Taking these Open Online learning opportunities and attuning them to individual learning clients, individual personal learning records in order to focus people's ability to learn from multiple institutions, provide credentials and recognition for that and make that available to potential employers or current employers...."
:06:55: Do you see taking some of this work that has been done and taking it into the international marketplace in some way? "....We are already working in the international marketplace....Canada has a history of developing e-learning technology and services for the export marketplace. We've played a role in that in the past and we will definitely be playing a role in the future in this technology...."
:07:58: Do you then link up with people like the ITU, UNESCO or the Commonwealth of Learning? "....We have contacts with all of them and know them well. These bodies are all working with us and we are working with them...."
:09:22: This is an amazing initiative and demonstrates and recognizes Canadian leadership worldwide. What underlying trends and research drove this new platform (LPSS)? "....Mobile computing is one....Cloud-based computing is another....Analytics and big data is another area...."
:11:23: This is somewhat captured in your profile, but can you provide some further insights into your current role and how you wish to drive this program? "....As program leader my main role is to provide an overall vision for the program. So the model that we're working on is one that I developed based on the idea of learning networks (based on the idea of distributed system, which is based on the idea of learning being something that is based on personal development and growth), and in particular the plasticity of neurotronic activity through experience, interaction and practice that approach to learning as opposed to one that might be based in remembering content and reciting facts....Another part of my role is in developing the market for this type of technology....Then there's the structural mechanics of driving a large research program...."
:13:50: Earlier you talked about neuroplasticity, so are you following the brain initiatives in Europe, in the US and the research being done here? A somewhat related question is that there is a lot of work in machine learning and deep learning systems where they are trying to mimic in terms of what's happening in our neural nets. Are you following that research and maybe seeing how that can integrate into perhaps big data analytics? "....I do follow that work, but I don't follow it at as deep a level as a researcher immersed in that field would be, which is unfortunate. I wish I had the time. I'm following the work in connectionism and neural network technologies in computer science....."
:16:20: I guess your newsletter would be a great vehicle to keep up with all the work that you're doing? "....One of our philosophies that underlies the approach to learning that we're working on is working openly....Working openly means sharing the things that I find and my thoughts about those things, as they happen, on a regular basis...."
:17:20: How will you measure the success of the program? "....It's difficult to measure directly the impact of something like this because we work in a network economy and all of the outcomes have multiple causes...."
:18:31: On the commercialization side, are you going to be working with investment bankers and that kind of thing? "....We are working with companies that already exist in Canada and helping them develop their capacity...."
:19:01: You've touched on this during the interview, but can you talk more about the value to the country itself? "....Canada depends on having the significant technological leads over and above being a resource-based economy. We are an information-based economy and a big part of that is leading in specific fields like instructional technology and e-learning....Part of that means Canada is an established leader in information technologies generally and that creates opportunities for other industries...."
:20:45: There's going to be a lot of international value with this platform you're creating so how will the execution occur? "....We're building what amounts to a core platform. Part of that is the establishment of standards and protocols, and part of that is the leveraging of existing standards and protocols. We're trying to create an overall environment where there is a single network - so that one person's learning environment will work in any of a wide number of areas, whether it be university, on the job training, development training, community development and things like that. From there we pretty much pick on a case-by-case basis example initiatives and this is where the opportunistic part comes in....It's picking places where we're able to find the opportunity and resources to show here's this technology working in such and such an environment, and this is how the work in this environment can connect up with work in another environment in order to provide progress and mobility for a person through these different environments...."
:24:09: What are some of the top resources in your program? "....The major access point for LPSS: https://lpss.me/. What you can do there is request an invitation and then we send out the invitation where you can sign up for LPSS and you can take a look at what we've actually developed so far. Still early days, it's important to remember that....My own website (me working openly): http://www.downes.ca/ (you'll find 300 presentations, most of them with audio recordings, most with slides, some with video), also my newsletter that will connect you to a whole bunch of other stuff....My weblog: http://halfanhour.blogspot.ca/.....If you search for the LPSS on the National Research Council Canada you will find the information about our program. http://www.nrc-cnrc.gc.ca/eng/solutions/collaborative/lpss_intro.html (different projects and the contact information if you want to follow up)..."
:27:35: What will a typical engagement look like - what are the steps? Let's say I have now signed up for this system, what do I do from there? "....You said what a typical engagement looked like - there is no typical engagement....If you sign up for the system, keep in mind that it's a pretty early version of the system, but what the system allows you to do is to define and access educational resources through a resource aggregator. It allows you to identify competencies that you are interested in working on which are the beginnings of developing a learning plan. The system will recommend resources based on those competencies....We are working on layering over and on top of that the social network infrastructure (that's not there yet)....We also have what we call a toolkit and you drag it and drop it into your bookmarks tab in your web browser and then as you surf the web you have LPSS coming along with you and you can comment on resources and save the resource to your own library, etc. So there are some things to explore in what we've done...."
:32:47: We are going to deviate somewhat from what we have been talking about and we are going to talk about your career. Can you describe your most significant and influential achievements and the practical outcomes seen today and forecasted into the future? "....That's a tough question because achievement is in the eyes of the beholder and other people have a different perspective on these things than I do. It's interesting, the most significant achievement is one of the oldest and that's my site called Stephen's Guide to the Logical Fallacies (that I reached in '95). Basically it was an open, easily accessible website that described all the logical fallacies and that's probably my most read resource ever and people today don't associate it with me anymore....We developed the first Massive Open Online Course (M00C) and developed the course, the ideas behind it and technologies supporting that....My career began interestingly in 1998 with a paper I authored called The Future of Online Learning, projecting into the future I thought of that paper right away. I followed that up with a 10 year on version called the Future of Online Learning 10 years on and I'll probably do one 20 years on...."
:37:00: Past, present, and future, name some people who inspire you and why is this so? "....Chris Hadfield....David Suzuki....John Stuart Mill....There are lots of people who inspire me...."
:39:42: Have you had the chance to talk to Chris or David at all? "....I've talked with David (not recently), but I have talked with him in the past. I've never met Chris Hadfield. I would love to meet with him one day. The work that he's done has really inspired me...."
:40:00: You are quite an eclectic person. You have many interests, you've done a lot, you've been both a Canadian and also an internationally recognized pioneer with all the contributions you've made. Is there anything that continues to surprise you? "....Life. Everything surprises me. I find surprises in things like symmetries, parallelisms. I'm surprised at the inventiveness of people....I am surprised at everything that is done without a purpose, done randomly and simply as a result of interaction....It's a thing that underlies economies, it underlies science and underlies art. It's beneath all of that and it's uniquely human. I think it's wonderful and endlessly interesting...."
:43:37: Microsoft, through their Bing system using their deep neural nets as part of their prediction system....or Andrew Ng and the system created which taught itself this concept of cats by watching YouTube videos....or Grady Booth who made these assertions in a talk that the mind is computable....or Elon Musk making some really interesting statements about artificial intelligence and deep learning systems and the impact it's going to have to society....or Tom Mitchell at Carnegie Mellon, he has this project called the Never-ending Language Learner....What are your views on all of that? "....Today when people think computable they don't think of this underlying technical definition, they think computable, oh yeah it's a computer with software and programs and things like that, but that's not how the mind works....I'm not a deep neuro-physicist or a deep computer scientist, but I'm still pretty sure of it, the mind doesn't work like a computer with programs and algorithms and things like that. So when we say the mind is computable it does not mean that there's some computer program that can be like our mind and that's an important understanding...."
:50:57: What improvements in policy should happen in the coming years? "....It's hard to talk about policy particularly because policy involves so much more than simply what's good ....For example, I might say something like we should make access to e-learning available to every single person. It sounds like a policy recommendation, but if I say that it's going to be based on the science and the pedagogy, this would produce the best results from a learning perspective. Policy isn't like that, policy brings in other factors. It brings in political factors, it brings in economic factors...."
"....Computing is a profession and I think there's no question about it....Other aspects of computers are more or less like engineering and there's the whole discipline of computer engineering - it's more about international standards, ISO recognition, processes, methodologies and a bunch of things that is more like engineering than it is about being a doctor or being a lawyer. Things like information architecture are personal philosophy and should be thought of that way and partially a profession and should be thought of that way....I'm sort of agreeing that it is, but I'm sort of saying that it isn't...."
:57:20: From your extensive speaking, travels, and work, can you share a story (perhaps something amusing, surprising, unexpected or amazing)? "....I don't think in terms of stories, I think in terms of images and environments and maybe sometimes encounters....This image sticks in my mind that Thomas Friedman famously said the world is flat and you go to a place like Tbilisi and there you have the world is flat. I can buy exactly the same phone in Tbilisi that I can buy here the day it comes out, but in this underground walkway under the highway at the train station in Tbilisi, the world is not flat and it's people who are trying to get maybe five or ten dollars for the day to live on by selling used clothes in this unheated and almost unlit passageway and everybody's quiet and everybody's muffled. That's the image that sticks in my mind as this sort of thing that is important...."
:01:01:10: You choose the topic area. Is there one particular challenge that we are faced with that you think should be solved or some more energy put into it? "....There are these huge massive social challenges and we are familiar with the lists, which run from global warming to income inequality to diseases like Ebola, indenture to sectarianism or warfare. There's a common element to all of those, it's the individual human condition because all of these are problems created in one way or another by people who are desperate who feel they have nothing to lose....That's the thing we need to understand - that we need our technologies to touch. If we solve the problem of the human condition we create at the same time the solutions to the all the things that are problems because then people feel empowered, then people have the capacity and the skills, then people can immobilize themselves in society to address these things...."
:01:03:52: If you were conducting this interview, what questions would you ask, and then what would be your answers? "....What is your background and your education and how has it affected what you are doing?....What motivates you, why are you doing what you are doing?...." :01:06:04: Stephen, with your demanding schedule, we are indeed fortunate to have you come in to do this interview. Thank you for sharing your substantial wisdom with our audience.